The summer recess of the Legislative Council will be over soon. I did take some time off with my family, and when I visited Seoul in early September, I took an extra day to visit some South Korean government officials, to try to gain better insights about their industry support and development policy for information and communications technology. We all know that South Korea was hit hard by the financial crisis just about fifteen years ago, but since then it has become a world economic powerhouse, much because of the boost generated from its technology sector. So, with the assistance of the Korean consulate general office in Hong Kong, I met with several senior directorate level officials from the ministry responsible for ICT, and also officials from NIPA, the National IT Industry Promotion Agency. The first thing that I was told was that the ministry has just been renamed the Ministry of Science, ICT and Future Planning. Well, you can imagine that the acronym will really be too much of a mouthful, and my host had to look it up himself to make sure he got the English name of the ministry right. In fact, the ministry has just been restructured to focus on IT, science and technology, from the previous ministry in the previous administration that also held the portfolio for trade and industry. Doesn’t this remind us of how we have lobbied for years to create a separate policy bureau in Hong Kong to look after information and communications technology, broadcasting and innovation policies? Well, we had been promised by CY Leung the chief executive candidate that he would establish a Technology and Communications Bureau, but despite bipartisan support for the establishment of this bureau in Legco, CY Leung the chief executive in office told us in his first address to Legco last October that, no, he would not carry out his campaign promise to restructure the government secretariat, and only might just re-introduce it later on in his term, with no commitment at all. Can you imagine if we have a technology bureau in Hong Kong, or even one like that in Korea, I mean, can you imagine a policy bureau in Hong Kong with the words “future planning” in its name? Even putting the words “Hong Kong government” and “future planning” in one sentence feels so counter intuitive. Oh well, what’s in a name? I asked our Korean friends what might be some of their policies to support its industry development, especially for local small and medium ICT firms, as well as for research and development, and cultivating new young talents. Here are some of the measures I was told, and you can easily tell the contrast between Korea and Hong Kong. Apparently, the Korean government would provide R&D funding support for its small and medium technology businesses, with the government contributing 50 to 70 percent of the R&D funding for projects evaluated and approved by an organization called KEIT, Korean Evaluation Institute of Industrial Technology. To keep things simple, the government wants to hold on to no part of the intellectual property from the research result. The companies keep it all, and the government only asks for a 20% payback from the profit of research result if it is successfully commercialized. Naturally, this kind of program has no chance of turning any profit. Imagine if it is in Hong Kong, our Audit Commissioner may say that this is a misuse of government funding and must be stopped. Similar investment or grant programs in Hong Kong indeed have been closed before because of just that. Well, in Korea, they know that this is to invest in the future, something our bean counters in government can never understand. OK, so Korea invests in its small and medium technology businesses, but if they get no help to develop themselves with nourishment of demands from a local market, these companies will have little chance to grow, well, like those similar technology companies in Hong Kong! So, my Korean host tells me, they make use of public procurement to develop their domestic technology industry, with a policy goal of creating barriers for large companies. What? Did I hear it right or not? That’s right, creating barriers for large companies! Specifically, for project tenders from all levels of government that cost less than 800 million Korean won, that is, about 5.7 million Hong Kong dollars, only small and medium businesses of under 300 people can participate. I guess large companies can still have a role, but their products would have to be sold through smaller companies, giving smaller firms a chance to innovate and to grow. In Hong Kong, it is the reverse. Large companies would win the tenders, and then it would subcontract and skim and skim and by the time it ends up in a local subcontractor, there is almost no margin left and the local small companies will never get a chance to move ahead. Why can’t Hong Kong implement industry support policies like this to help our local firms? Our government always replies with these words – World Trade Organization requirements. Well, other countries can do it, have done it, are still doing it today, and will continue to do it tomorrow, that is, helping local firms. Last I check, these countries like Korea and even the United States are still in the WTO. Now, the next question I had for my host was about talent acquisition for ICT. I was told that Korean young people like too much to work for big companies like Samsung andthat the government wants to encourage more to become entrepreneurs and innovators. In his word, they want to find Korea’s next Bill Gates. So, they will select 100 bright high-school to university students as contestants, and make them go through an elimination process, maybe not much unlike a season of a reality show like “Survivor.” In the end the final 10 each will be awarded with roughly the equivalent of just over 720,000 Hong Kong dollars, to go study abroad, or to buy the equipment needed to start their business, whatever. Just like that, no strings attached. But doesn’t little programs like these point clearly the way to the Korean citizens as to what the government think will be important for the country’s future development, where its economy is going? Instead, our government seems to only know about grabbing land to build public housing, including at the expense of sacrificing land needed for higher education. All indications from all the recent global economic competitiveness measurement report have clearly pointed out that Hong Kong is suffering because our ratings on innovation are dropping at an alarming rate. Why? Because our economy is overly dependent on financial services and property, and our businesses do not value research and development, and our government is clueless all along. In short we, Hong Kong, our government, our businesses and our people, are too short-sighted. What can we do? 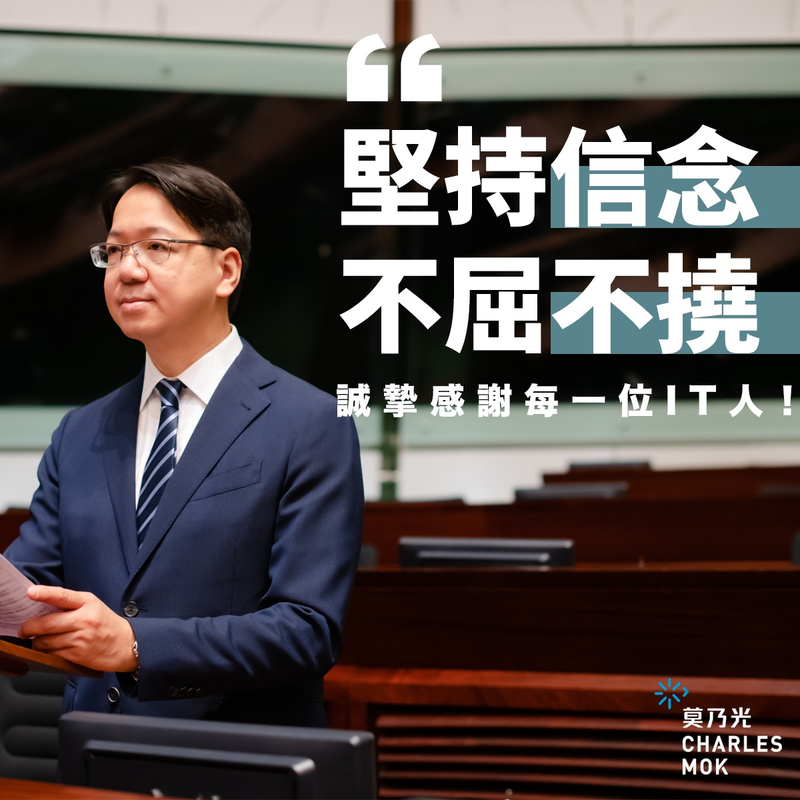 My Legco office is now conducting and will release within this year a policy research on Hong Kong’s future as an intelligent city, by comparing our strengths and weaknesses with our nearest competitors, such as South Korea and Singapore, and coming up industry development proposals and government policy recommendations. Calling for the establishment of the technology bureau is not the end, but just an important early step. But in the end, it is about changing of minds, from business people to government officials, from young people to their parents, for us all in Hong Kong to realize what we owe it to our children and future generations to give up this myopic vision, and really, seriously and diligently plan for Hong Kong’s future economy, and then acting on it. Are you ready?